There are two kinds of expert witnesses an attorney may use to render expert opinion and testimony in police dog bite lawsuits. First, there is an animal behavior expert. Second, there is a police dog handler. Each has their own specialized area of expertise. Below, I focus on the differences between these two types of experts. 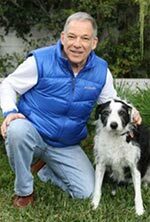 The animal behavior expert uses knowledge about the scientific principles and tries to apply them in a meaningful way to the fact pattern of any dog\ bite case, including attacks by police canines. And it should be importantly noted that police dogs, given that they are dogs, are open to expert analysis from an animal behavior perspective. In contrast, the police dog handler is in essence just a trainer for a specialized type of dog. This individual has expertise in the techniques used to train a police dog, whether it be for obedience, suspect apprehension, drug detection, explosives, etc. 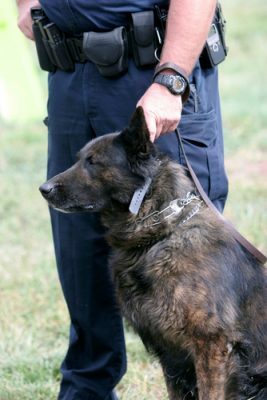 Moreover, the police dog handler may qualify as an expert about the proper protocol for the deployment of these dogs in field situations to apprehend suspects. However, in many instances, this area falls within the expertise of a use of force specialist. Given the above, the police dog handler asks “how” questions about police dog behavior. That is, how to teach a police K-9 to apprehend a suspect, how to teach the dog to detect narcotics, how to teach a police dog to follow a scent trail, how to teach a police dog to start and stop an attack on command, etc. In contrast, the animal behavior expert has the knowledge to best answer “why” questions. Namely, why are police dogs so inherently dangerous? Why do police dogs inflict such severe injury to suspects? Why do police dogs attack innocent bystanders? Why are police dogs at times so unpredictable? Why does the handler have such difficulty in controlling a police dog in a given set of circumstances? What makes a police K-9 “defective”. Competent analysis of these type of “why” questions are usually beyond the expertise of most police dog handlers. Which expert to choose for your police dog bite case? Both the police dog handler and animal behavior expert will qualify in court as police dog experts. However, an attorney’ s choice of which expert to use depends on the issues raised. For example, if there is contention about whether the dog should have been deployed given the circumstances then the police dog handler or use of force expert is the one to choose. On the other hand, if the attorney feels the jury needs to know why police dogs are exceptionally dangerous or why the police dog handler had such difficulty in controlling the dog, or why the K-9 was defective, then the animal behavior expert is the best expert to use. Dog trainers masquerade as animal behaviorists. Dog trainers take online courses and use certificates of completion to make it appear they have expertise in animal behavior. Three basic questions to ask: has an animal behavior expert earned a higher degree in the field of animal behavior or closely related biological science? Does the expert have certification from a professional organization in the field of animal behavior? Does the expert have peer-reviewed publications to his/her credit? In an earlier post, I discuss the science of animal behavior and how it relates to choosing a dog bite expert.